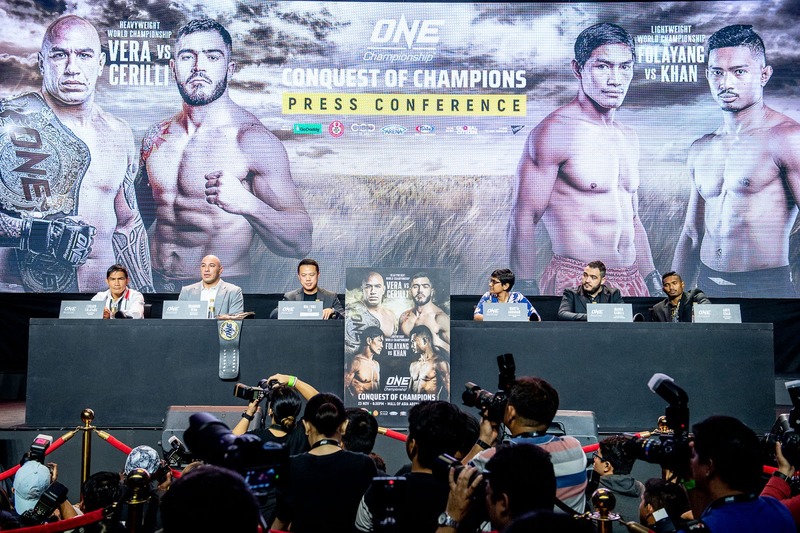 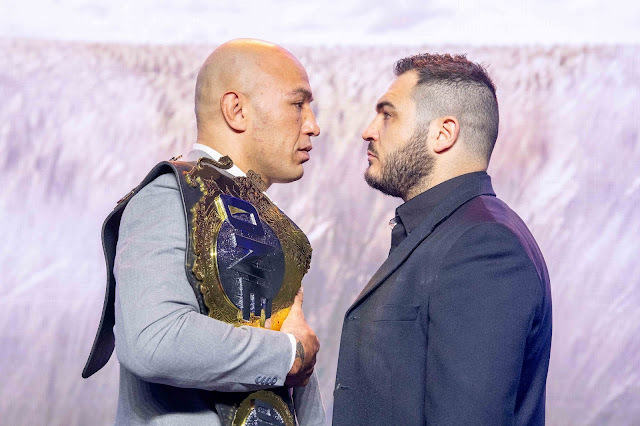 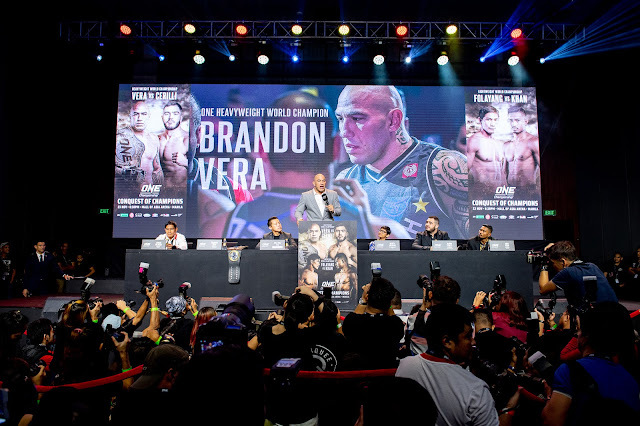 The largest global sports media property in Asian history, ONE Championship™ (ONE), recently held the official ONE: CONQUEST OF CHAMPIONS Kick-Off Press Conference last Tuesday, 20 November at the City of Dreams in Manila. 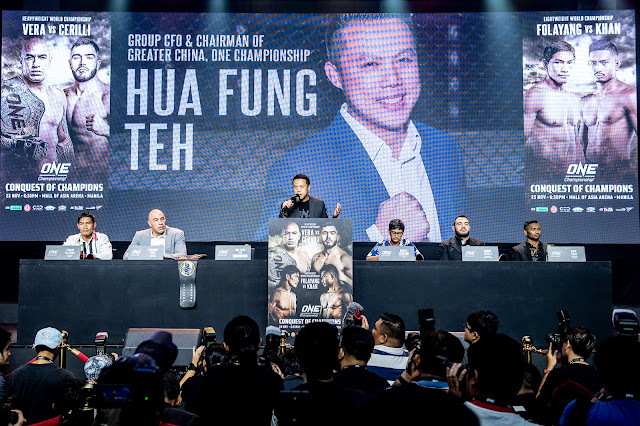 In attendance were Chief Financial Officer of ONE Championship, Mr. Hua Fung Teh, ONE Heavyweight World Champion Brandon “The Truth” Vera, world title challenger Mauro “The Hammer” Cerilli, former ONE Lightweight World Champion Eduard “Landslide” Folayang, and Singaporean star Amir Khan. 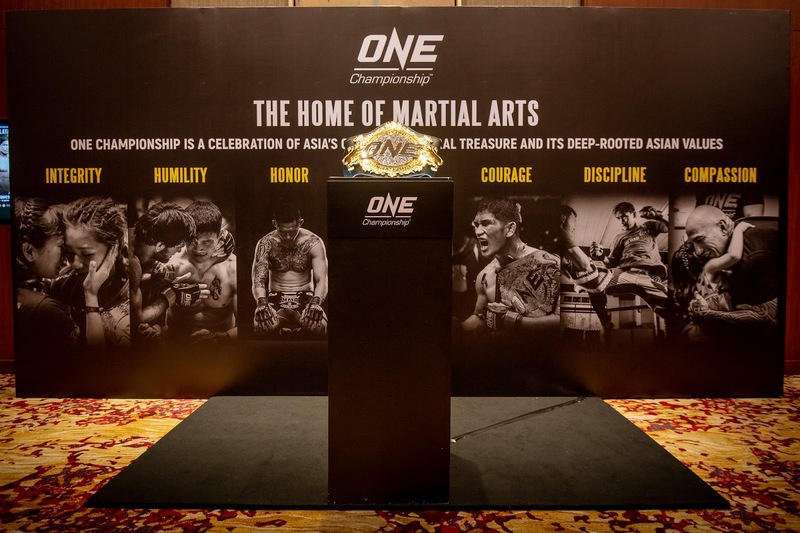 Also in attendance were CMO of Zilingo, Marita Abraham, and Vice President, Gaming Operations of COD, Mr. Roger Lwin.